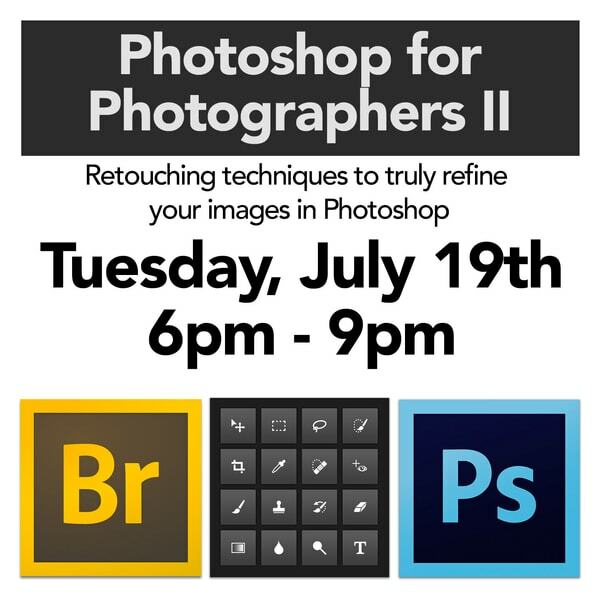 James Eves is now offering "Photoshop for Photographers 1and 2", each seminar is a a three hour/one session seminar. The seminars will be held in our studio Cape Ann Giclee 20 Maplewood Ave Gloucester, MA 01930. Class times are 6:00pm - 9:00pm. Space is limited to 20 for each seminar date. 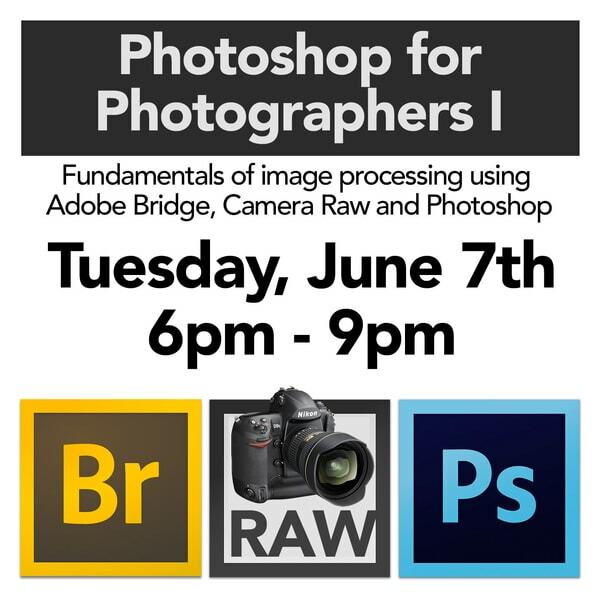 Photoshop for Photographers 1 is a seminar for professional, fine art and hobbyist photographers who want to learn about file management, color balancing, why shooting in RAW is better, shadows and highlights moves, contrast, ways to save and send image files, using Bridge and more. This is a chip to print seminar, it is not a how to shoot photos seminar, it's what to do with your image files once you have them. This seminar is for beginners/intermediate. Prerequisite is a good working knowledge of computers, this class is taught on a Mac but all functions will work on a PC. You may bring your laptop, wireless WiFi is available but please make sure it is fully charged as outlets will not be available. To sign up you must register by making a payment online. Once you are registered and have paid you will receive an confirmation email. Registration must be done using the link below. If you have any questions you can contact us at 978-546-7070. Cancellation 2 weeks before the seminar - full refund if you cannot reschedule for a different date. Less than 2 weeks you will get a full refund only if we can fill your spot and no other seminar date is available with space. Cancellations of less than 48 hours can reschedule for another seminar if space is available but will not receive a refund if they cannot. No shows will not receive a refund and may only reschedule on a standby basis. 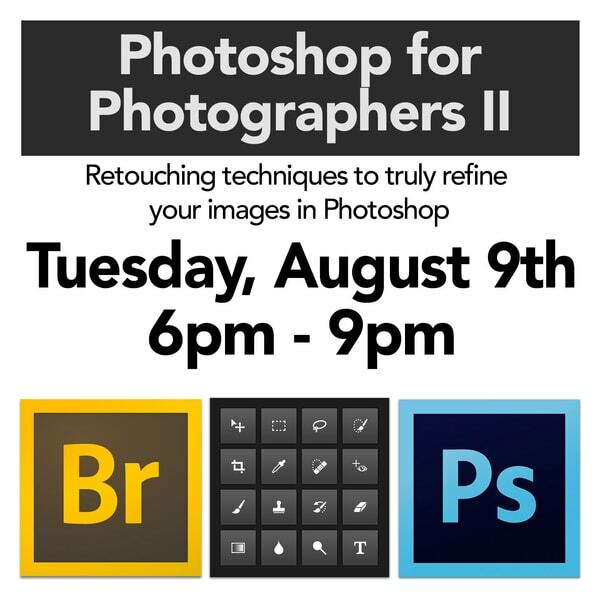 You do not have to have Photoshop or know how to use it to participate in this seminar but a basic understanding of computers and files is necessary.